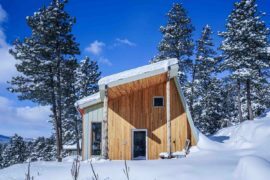 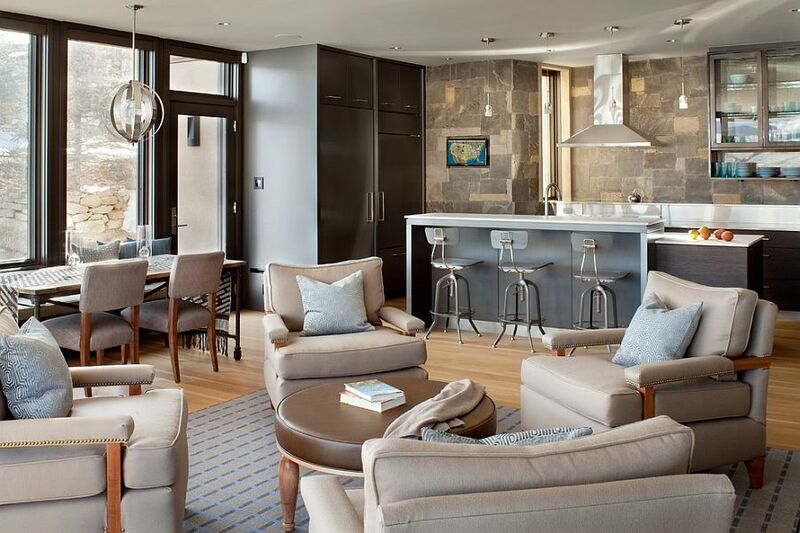 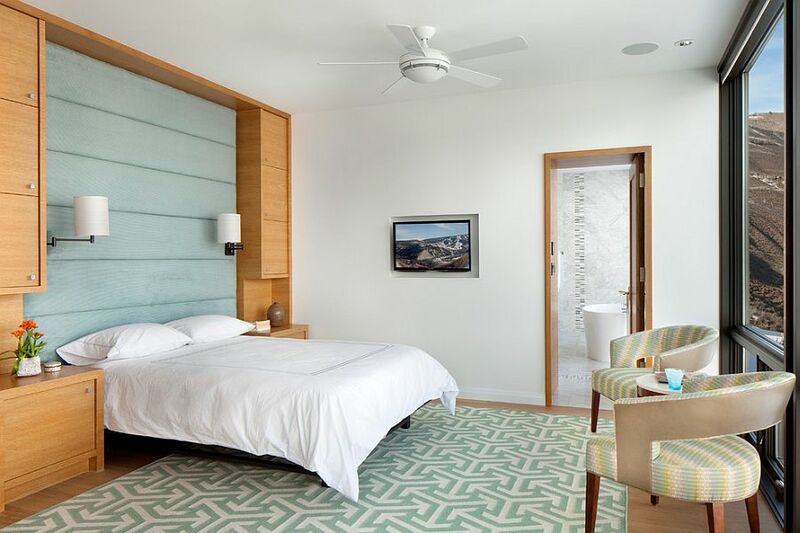 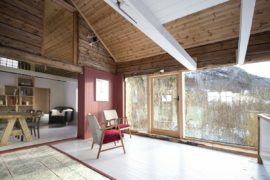 Moving away from the traditional look of classic ski cabins, contemporary mountain retreats are embracing a whole new design style that seamlessly blends the modern with the rustic. 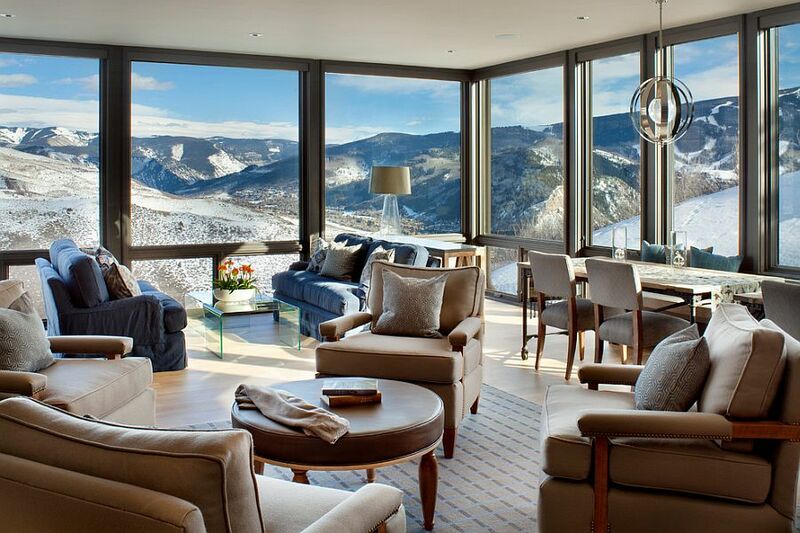 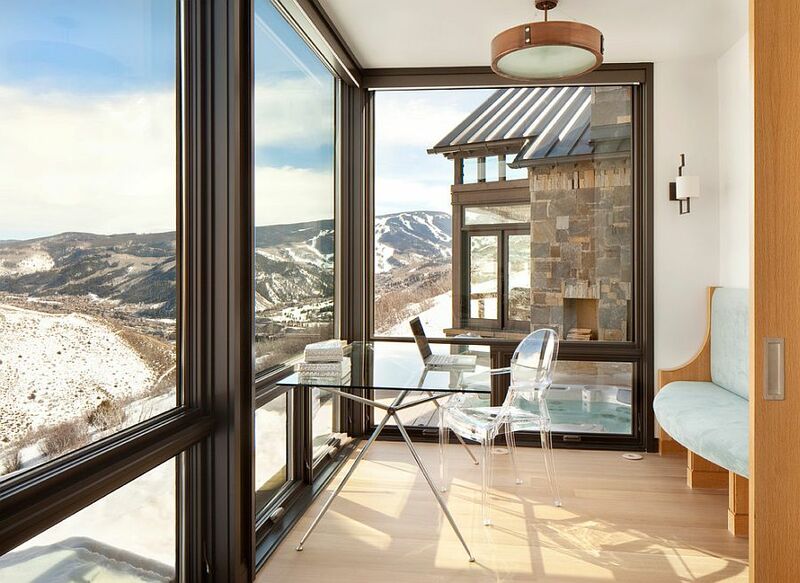 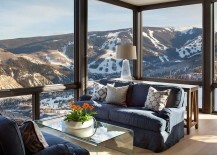 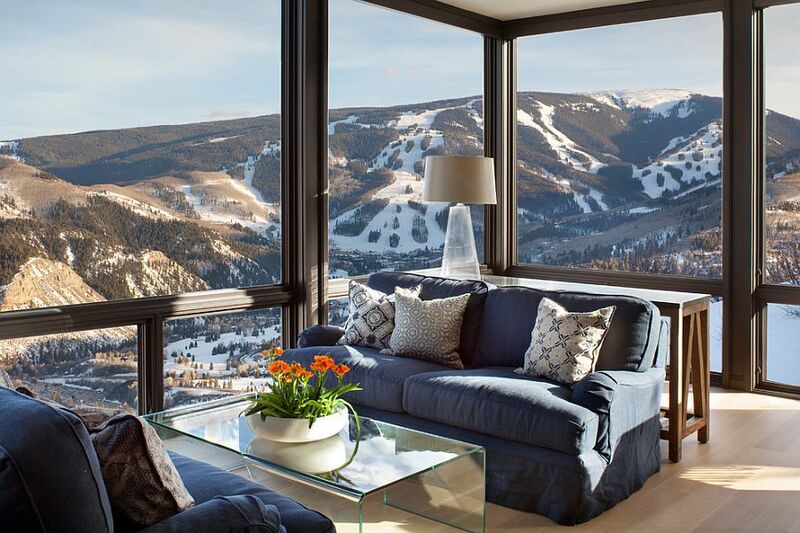 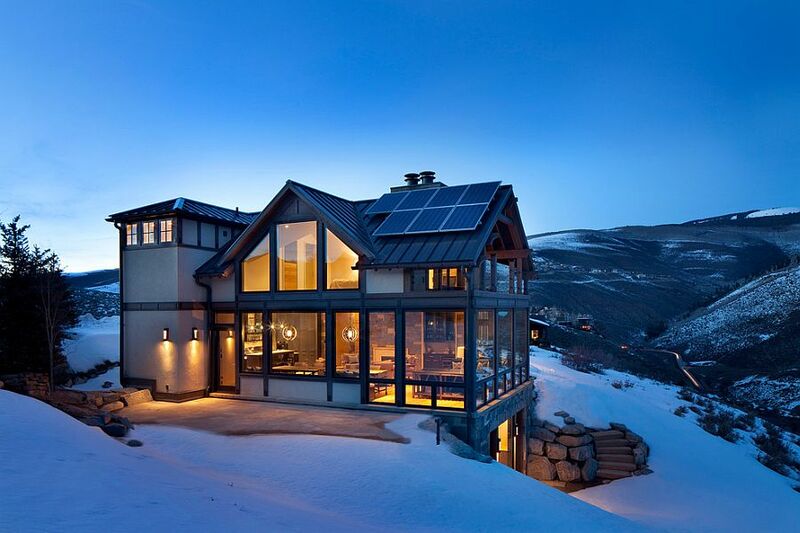 Nestled in the snowy slopes of Colorado, this breathtaking getaway was designed by Morgante Wilson Architects for a family of passionate skiers, and the dwelling brings the comforts of an urban lifestyle to a relaxed, mountainside setting. 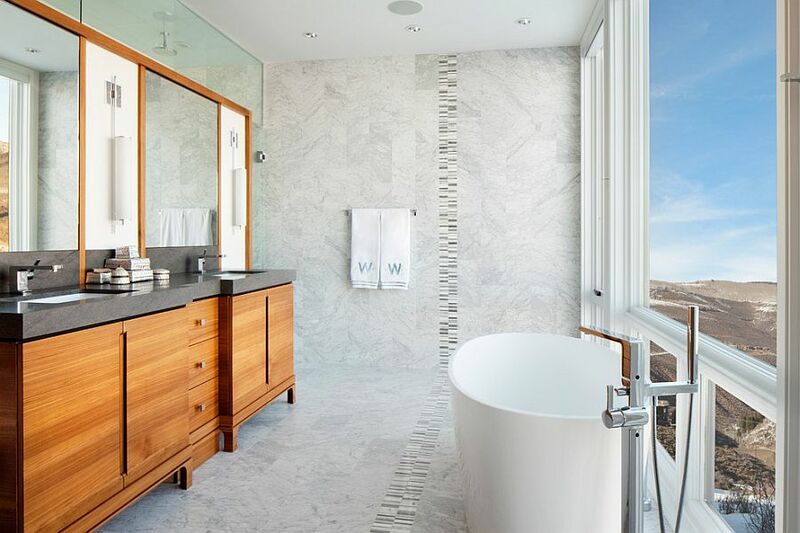 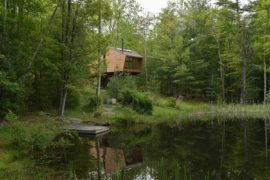 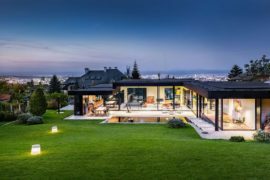 Spread across three different levels and 3500 square feet, the fabulous home is perched atop a hillside and offers captivating views of the scenic landscape that surrounds it. 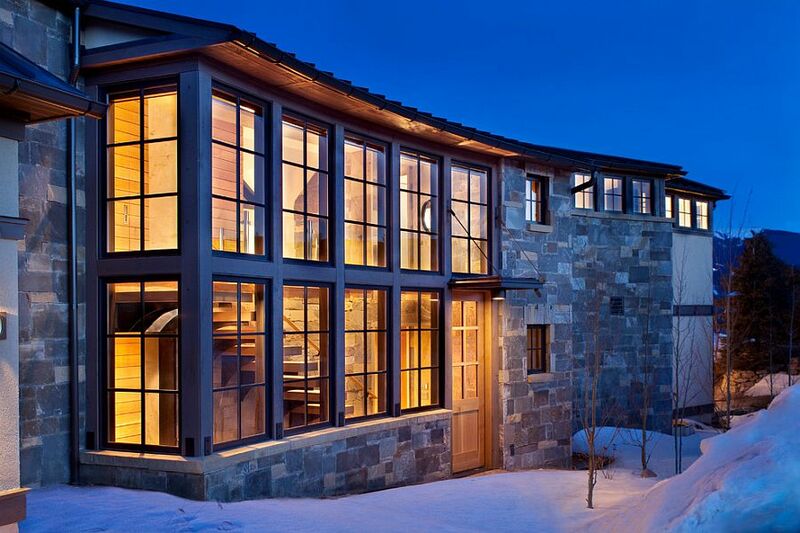 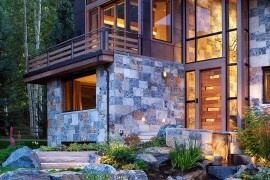 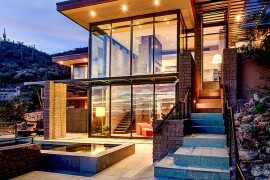 One can see the effortless combination of the contemporary and the classic from the very outset, as the façade of the home blends stone and wood with the exquisite use of glass. 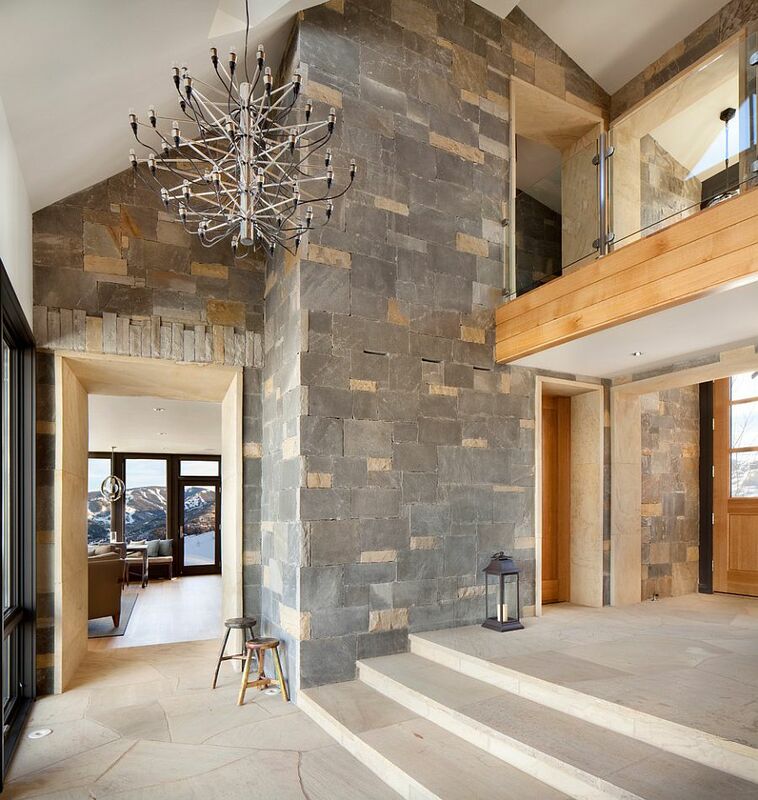 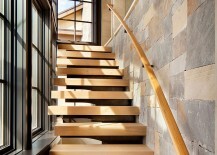 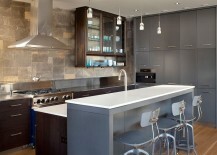 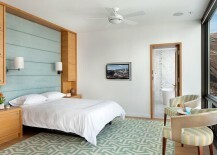 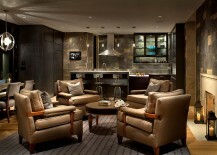 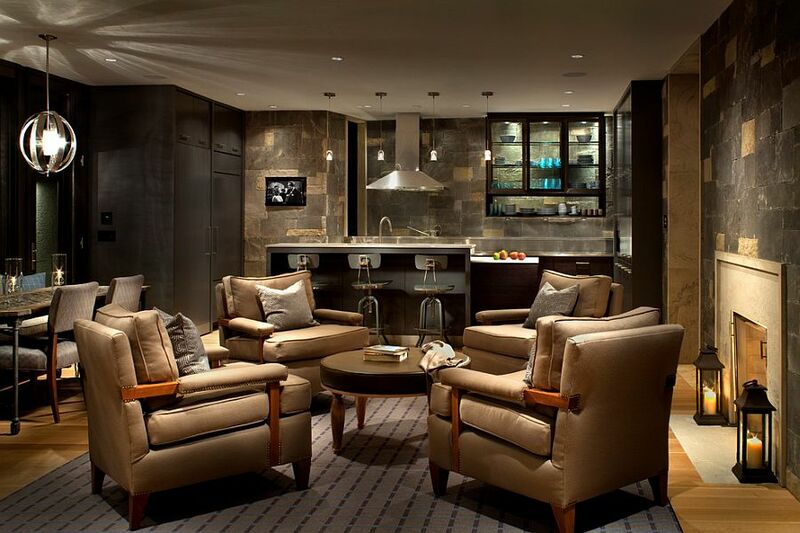 This theme continues inside the residence as well, with each room showcasing lovely textural contrast. 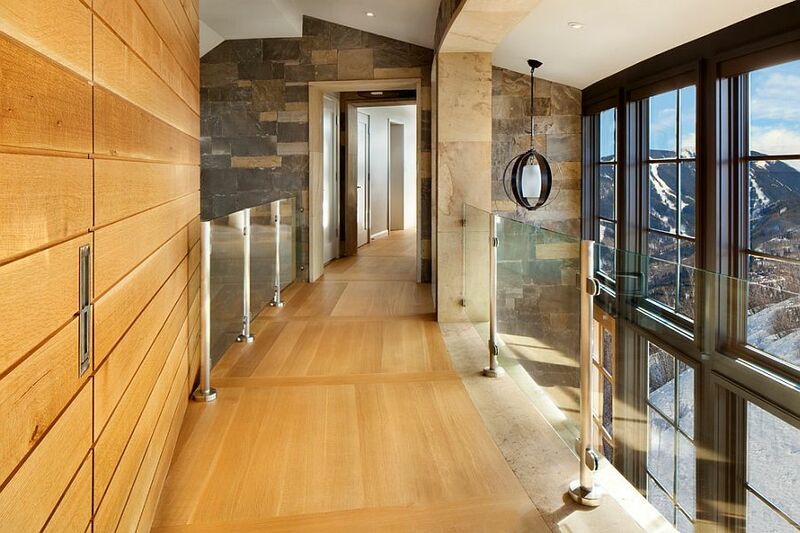 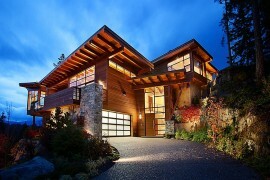 A grand entry welcomes you into the home, with the living area being housed on the top level along with the bedrooms. 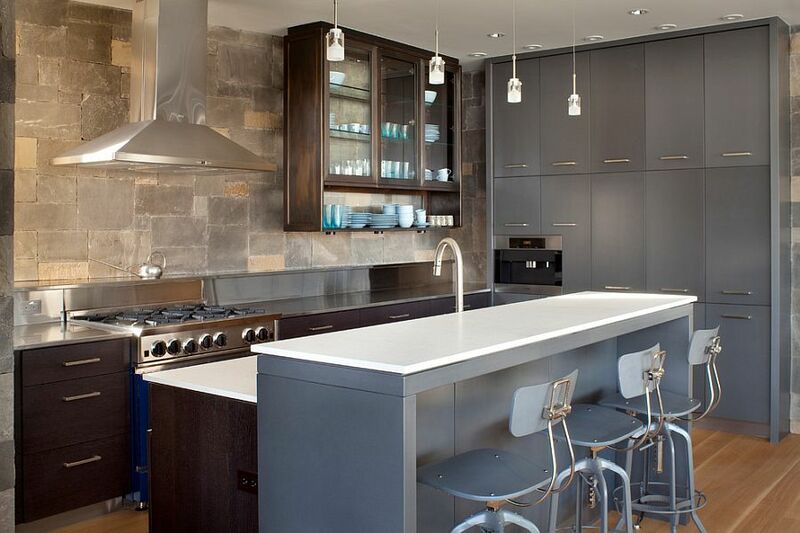 The basement level features additional kitchen and social spaces, and a smart, neutral color scheme is employed across the three floors. 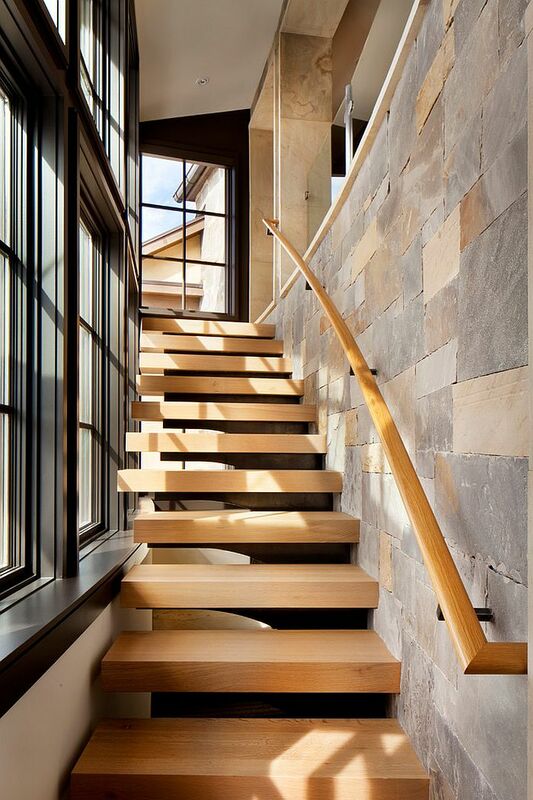 Natural materials and surfaces dominate the interior, and smart lighting accentuates this touch of traditional Colorado timber style. 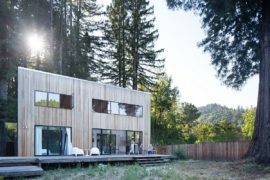 Yet, the grand retreat is not all about aesthetics alone, as smart power-saving systems along with a roof clad in solar panels ensure that it is as energy-efficient as possible.